Did you know that you don’t have to leave the comfort of your home to travel the world with your kids? In today’s post we will be participating in Around the World Series hosted by Cutting Tiny Bites. 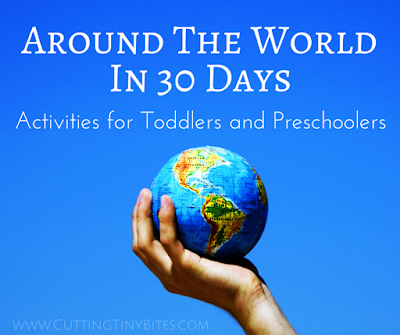 A fun series aimed toward toddlers, and preschoolers to learn about the culture of a country. 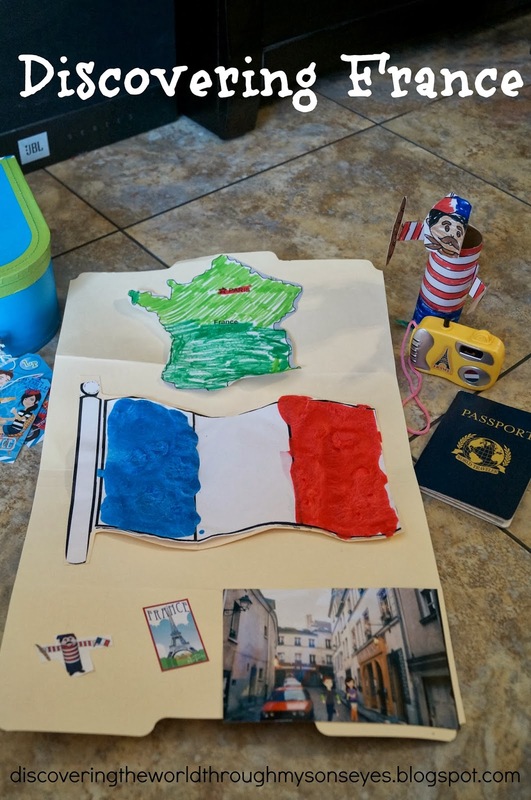 For our Around the World country we will be visiting France, and making simple and fun activities. We’re subscribed to Little Passports so of course, for our home lesson on France we used the awesome packet that we received! 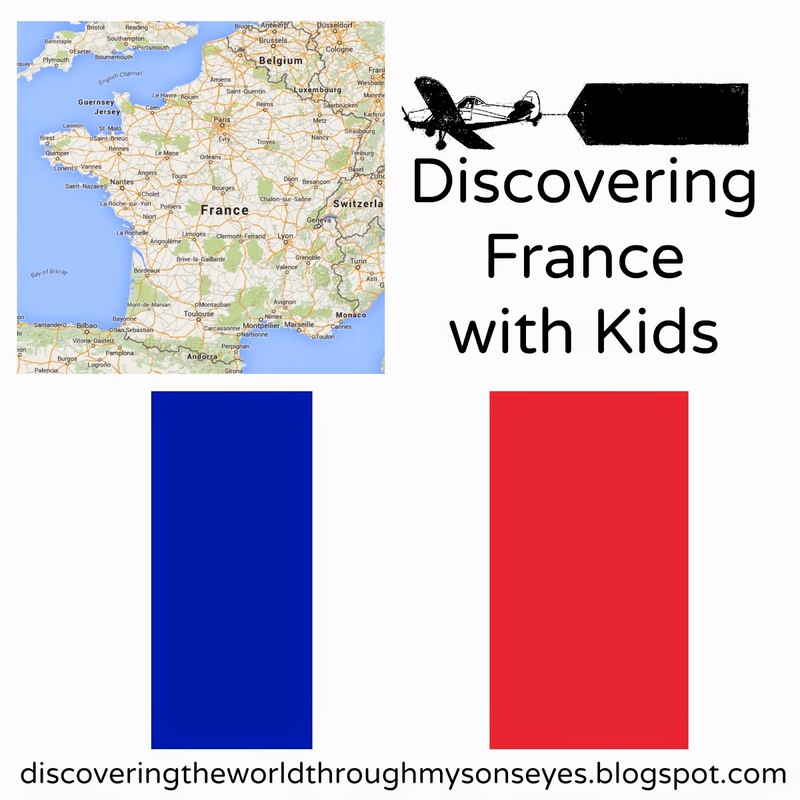 We enjoyed reading Sam and Sofía’s letter and little one enjoyed looking at cool images from France on the little camera they sent. cut and colored the map, and he cut out the flag. Little one also made a French Boy Toilet Paper Roll Craft. We colored the flag with colored puffy paint! Yes, puffy paint! This is a simple activity that your child can do! *Just a heads up, as I later learned please use a thick piece of paper or cardboard! The puffy paint wets the paper, and made it wrinkle up a bit. * I followed the recipe for puffy paint from here. 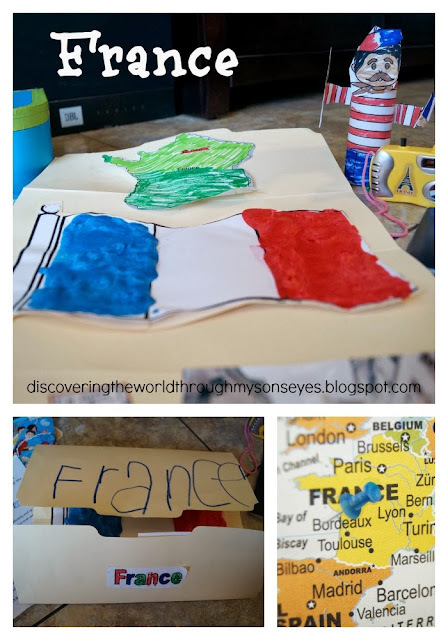 Once completed we added the flag to little one’s France folder. The French flag was officially adopted on February 15, 1794. The flag is tricolor and it consists of three vertical bands of equal width, displaying the country’s national colors: blue, white and red. The blue band is positioned nearest the flag-staff, the white in the middle, and the red on the outside. Red, white and blue have come to represent liberty, equality and fraternity the ideals of the French Revolution. Blue and red are also the time honored colors of Paris, while white is the color of the Royal House of Bourbon.